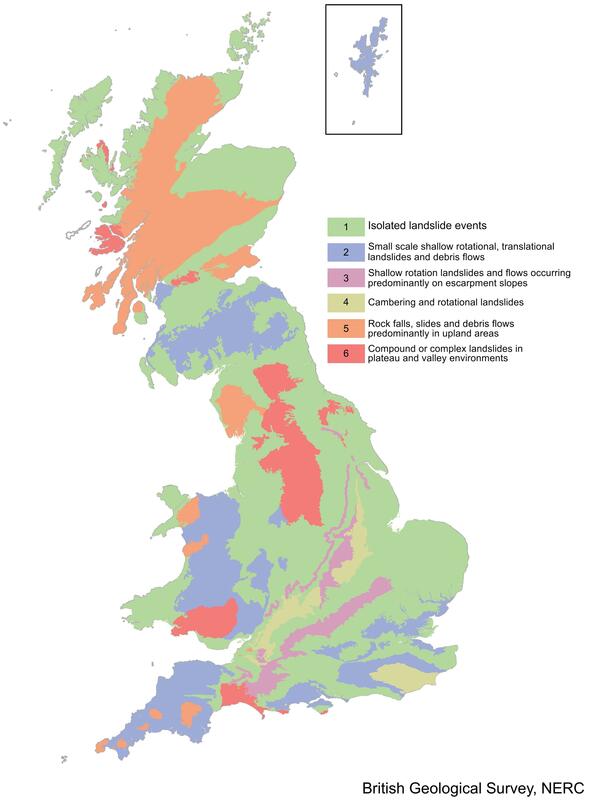 The Landslide Work Package of the Natural Hazards Partnership's Hazard Impact Modelling project is led by the British Geological Survey (BGS). Scientific research is ongoing into understanding regional characteristics of landslide events (Domains), rainfall intensity and landslide occurrence (Thresholds), and the impact of those events. 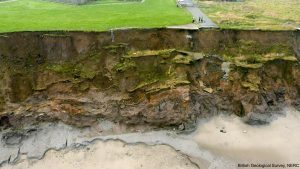 Through scientific research into these areas we can gain more understanding and work towards an eventual Landslide Impact Model. Landslide domains Informed by landscape evolution, geology and characteristic landslide process. Statistical evaluation and comparison to the National Landslide Database has occurred demonstrating the value of expert knowledge of events alongside statistical information. Hollin Hill, Yorkshire, Inland site: 5 years of monitoring (terrestrial laser scanning), weather station, ALERT system (geotechnical and environmental factors). Aldbrough, Yorkshire, Coastal site: 10 years of monitoring (terrestrial laser scanning). Instrumented with inclinometers, piezometers and a weather station. Data from newly acquired instruments will be used to monitor pore pressure, weather and movement at the Aldbrough test site to try and create a tentative threshold value for a coastal site. 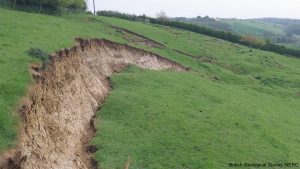 Threshold investigation will utilise the National Landslide Database to further develop the threshold analysis by extracting known events and attempting to hindcast using Met Office data (rainfall, temperature, pressure). In future years the model will be developed further to run forecast models with well constrained hydrological/geotechnical parameters. Future models will run probabilistic weather data. BGS are leading the establishment of a landslide event impact library for recent events. Collaboration within this process, ensures the information links in with data collected for the Surface Water Flooding Hazard Impact Model under the Hazard Impact Framework. Data is captured from media sources and reporting. Ongoing collection displays the limitation of reported data and difficulty in capture costs linked to impacts.